How fun is this? Cheryl at Meadow Mist Designs is hosting a "Best of 2015" linky party! Here are my "best ofs." This is an easy one. 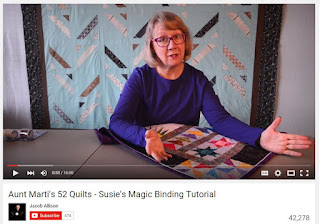 Far and above, the all-time most viewed post is "Susie's Magic Binding." In the three-and-a-half years since the tutorial was posted in May of 2012, it has received nearly 650,000 views! Not surprisingly, the most with the most comments is the Susie's Magic Binding video tutorial. Posted on February 2 of this year, it's also the second-most viewed post. It's on YouTube, here. The most fun and lively discussions have been on "giveaway" posts. I loved the ideas followers had for using the Tonga Treats strips package given away on the 600 Followers post. The winner was Becky H., who planned a bargello quilt using the strips. Another easy choice! My favorite all-time (not just 2015!) finish is the "Farmer's Wife" quilt. I used Marti Michell's templates for about half the quilt -- much easier than the templates in the book! I sent the quit to Idaho for a 50th anniversary gift to my brother and sister-in-law. Since we've already celebrated Susie's Magic Binding, my second-favorite tutorial is another binding tute, Jean's Genius Binding. It's perfect when you don't want the flange of Susie's Magic Binding. Plus, my nails look great in these photos. The monthly UFO Parade posts are always my favs. It's so much fun to see what those participating in the UFO Challenge have made. 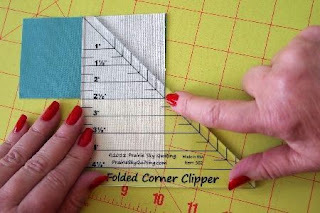 But my favorite personal post is another tutorial, the one for the "Folded Corner Clipper." This is my favorite tool for making 45-degree angle cuts. So much more precise than drawing a line and sewing across it! 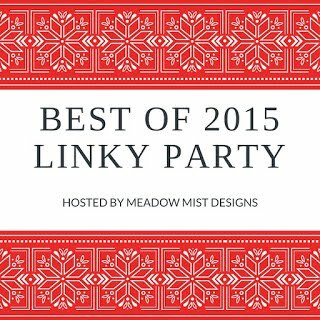 Linking up to the Meadow Mist Designs "Best of 2015" linky party. I counted the quilts I've finished since returning home from Texas in October. Eight! 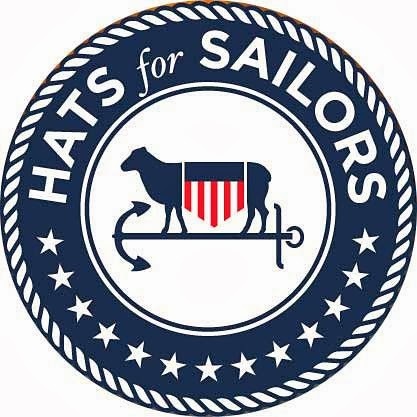 I need to get My Little Sailor busy with the camera and write a "finishes" post! Happy New Year, and happy quilting! What a great list of best posts, thanks so much for linking up! I love your binding video. I really enjoyed reading your post, Marti. You do have some wonderful tutorials. And beautiful nails! Thanks so much for sharing! And best to you in 2016! I am enjoying getting to visit everyone who linked up with Cheryl. 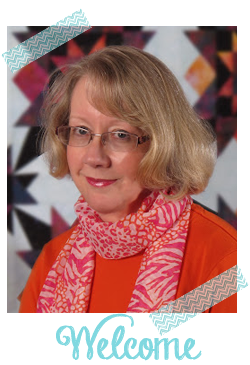 What a fun way to get to know about you and your quilting journey. :) Your nails look great in all the close up photos. Marti, what a great list of posts. I loved the binding tutorials. I've just started using machine binding and I'm going to have to give your methods a try! 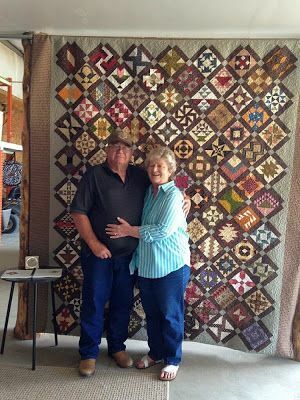 Your Farmer's Wife Quilt is amazing! Marti, what a wonderful post of your favorite 2015 finishes. All the best in 2016! I love your list and your Farmer's Wife Quilt is amazing! 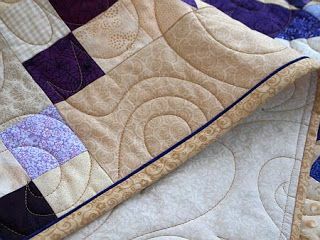 I use that magic binding method and love the look it creates. Thanks for the linky party! So many great tutorials to check out. Thanks for sharing. Happy New Year and here's to 2016! Lucky me I discovered your blog this year. Will be trying Jean's Genius Binding soon. I just need to make sure I have all the pearl cotton and foot to do it. Happy stitching in 2016. May your tension be balanced, your points pointy, and your bobbin full. Great tutorials and a beautiful finish. You had an excellent 2015. Second time I've come across your blog. I need to check out more of your tutorials. Happy New Year! 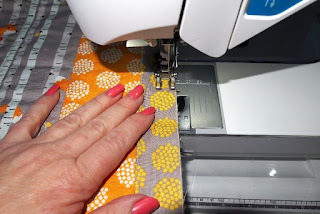 I've certainly clocked up a few visits to susies binding...and a couple of my friends use it ....especially for baby quilts...thanks again...and I'm off to look at the other binding tutorial. Great post, truly enjoyed reading the tutorials also. Glad you participated.